With another drive back to Punta Arenas, I decided to leave about 4 hours before my flight to give me some time to top up my fuel. What I did was fill up gas at Puerto Natales and drive as efficiently as possible as I was able to return it 3/4 full which was what I received the car with. The slightly heavy rain along the drive back helped to wash the car of the mud and grime accumulated over the past few days and made it easier for me to return the car at the airport. Apparently, I arrived earlier than scheduled as I did just use up 1/4 of the gas in the tank and received an ok from the car rental agent. With that I collected my luggage and checked in for my next flight back to Santiago. 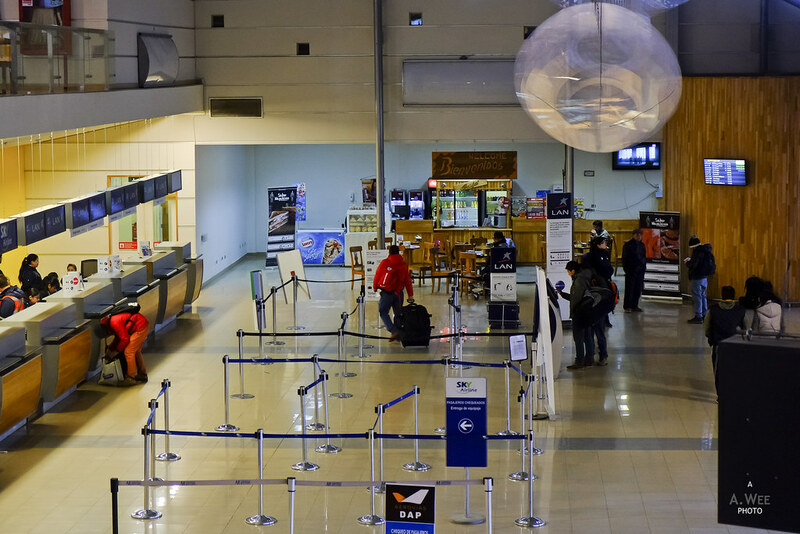 For the evening flight back, there was only the option to fly via Puerto Montt. That extended the length of the flight but I was fine with it since I had no plans that night anyway. Check-in was fast since there was no one in the queue as I arrived quite early. That meant I got processed quickly and was given my boarding pass. With that in hand, I had time to look at the shops for souvenirs and there are some shops selling Patagonian king crabs and seafood for visitors to bring back, but with no interest in those, I head up to the restaurant for a meal since I was a bit hungry as I just had a small snack for lunch. I ordered a king crab sandwich that had lots of fresh lettuce, tomato and mayo. Apparently a lot of food are served with mayo and lettuce in Chile! 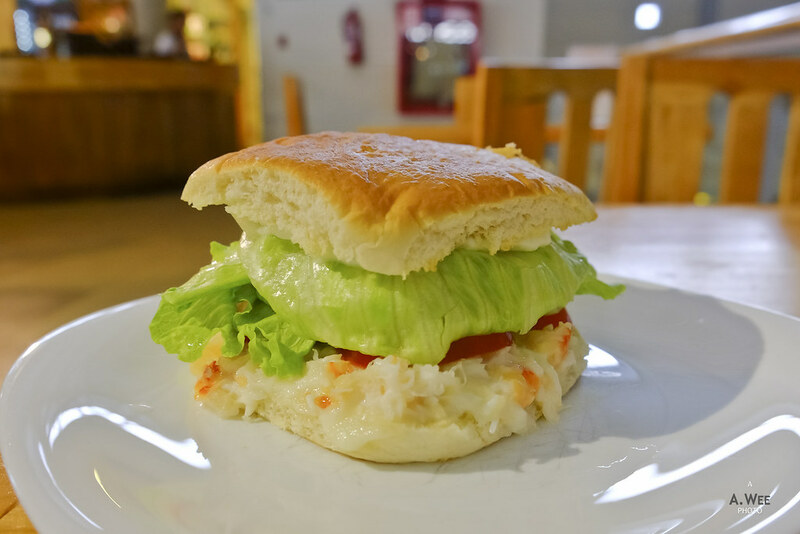 While simple the freshness of the ingredients and the sweetness of the crab made it a tasty treat that gave me good farewell moments in Patagonia. After having my meal, I quickly proceed to go past security since I started to see more crowds checking in, and I did not want to get caught in a queue. Past through the security there is a fairly large souvenir store that also sells snacks, drinks and magazines. 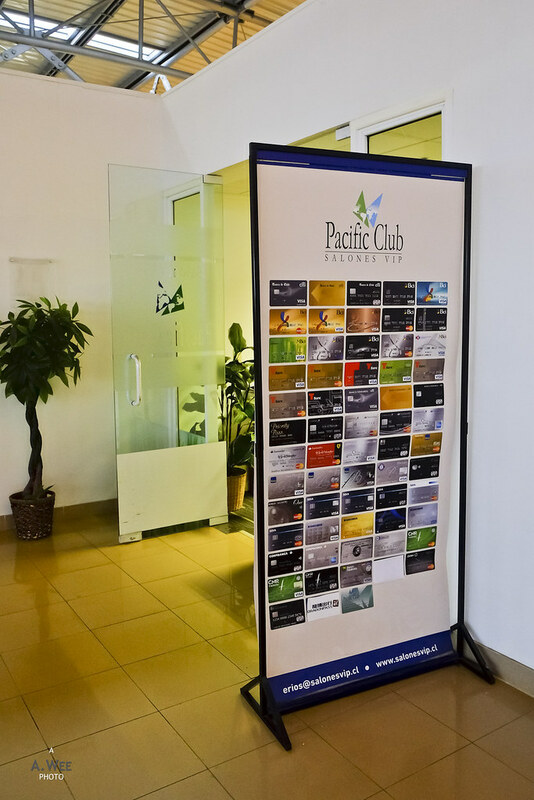 There is also a Pacific Club lounge that admits passengers who have a list of credit cards. 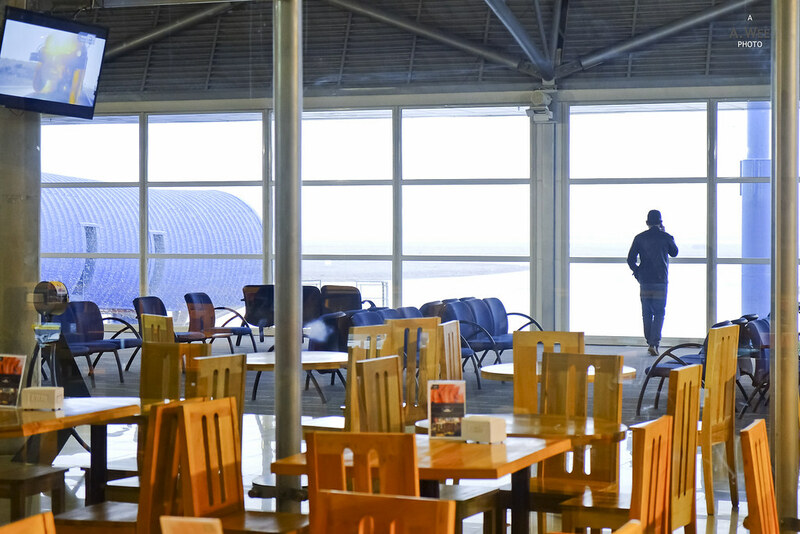 There was nothing else of interest in the terminal since it was a small airport, but maintained very well and functional for travellers. It had snowed a bit just now in the airport but the snow seems to have melted and there did not seem to be any cause for delay as I watched them load the airplane. Very soon, the boarding announcement was made and being in the middle row, I followed the queue to board first. A bit of a mistake really since I had an aisle seat this time and I was the first in my row to arrive. Fortunately the other 2 passengers arrived not long after. 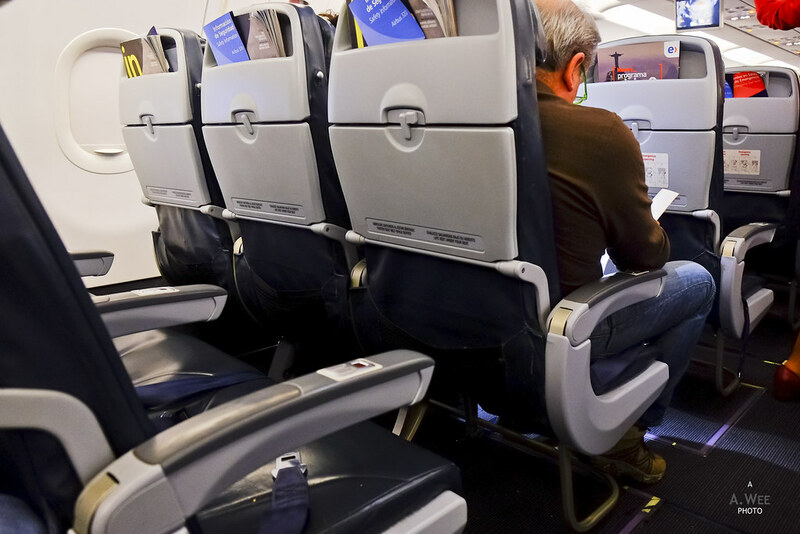 No luck in getting an empty middle seat then. 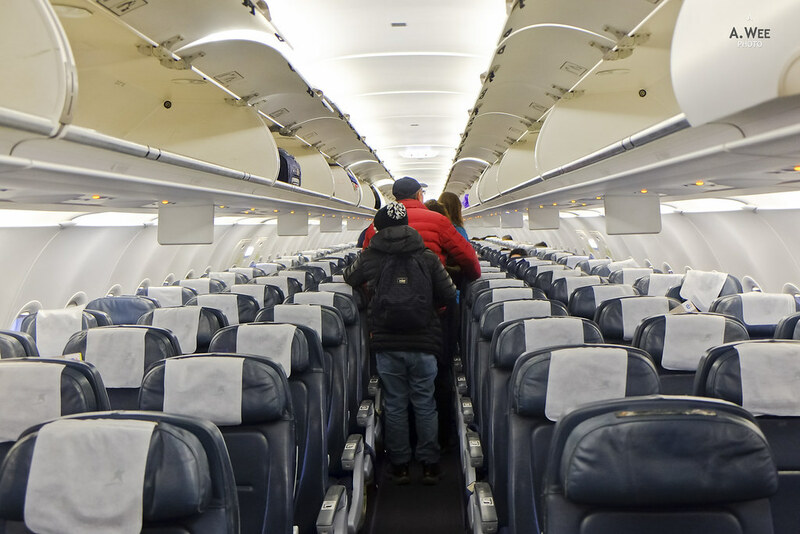 What I noticed this time was that the crew was in some kind of hurry as the boarding was conducted and completed quickly and it seems like they are in a rush to depart as soon as possible. I figure it is due to the stopover at Puerto Montt. The first segment of the flight went smoothly. 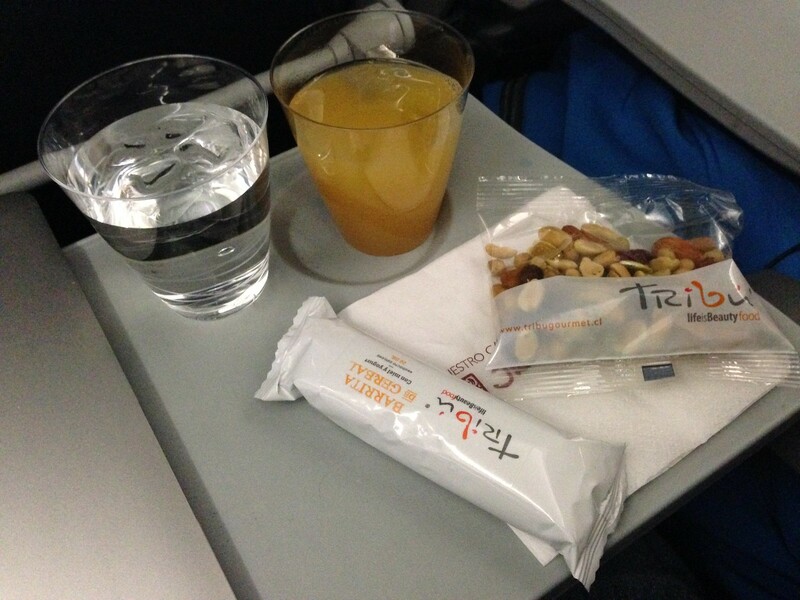 There was a snack and beverage service where I got a mixed nuts package and the yogurt cereal bar. The yogurt cereal bar was actually my favourite amongst the varieties of snacks that LAN gives out. The cabin crew was also very graceful in giving me a glass of water and orange juice. Pretty standard procedure for what is my fourth flight on LAN. 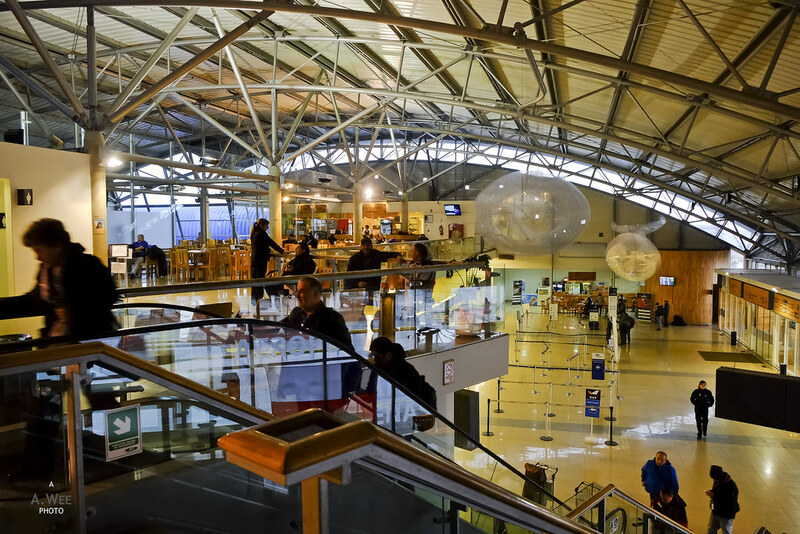 It was less than 2 hours on the air before we made a descent into Puerto Montt with the crew advising passengers bound for Santiago to stay on the plane. 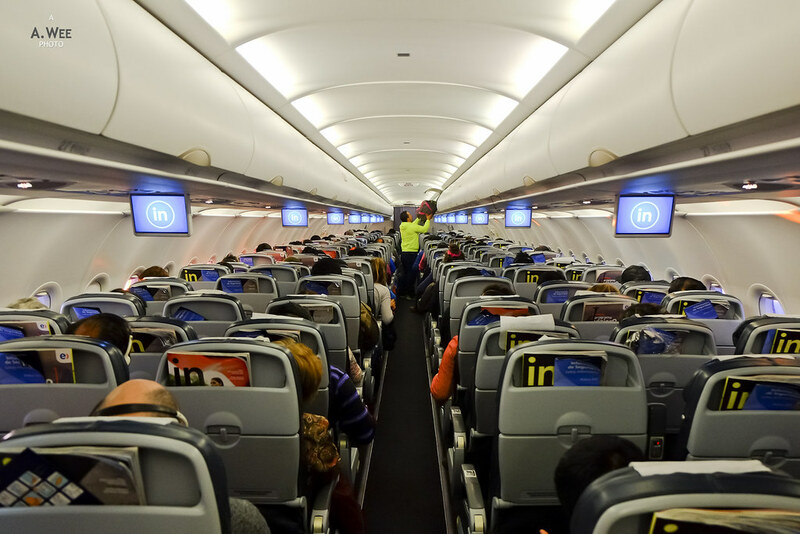 Probably half of the passengers disembarked from the flight. After the disembarkation, the crew quickly made their rounds to count the remaining passengers and clear any rubbish. I was quite surprised at their efficiency as my last stopover flight on Air India was not that quick at their turnaround. Apparently new passengers boarded the plane and again it was a very orderly and quick process. The other 2 seats beside me were occupied once again as it seems the passengers that disembarked was fully replaced by those who boarded from Puerto Montt. We were on the ground for less than an hour before taking-off once again heading further north. 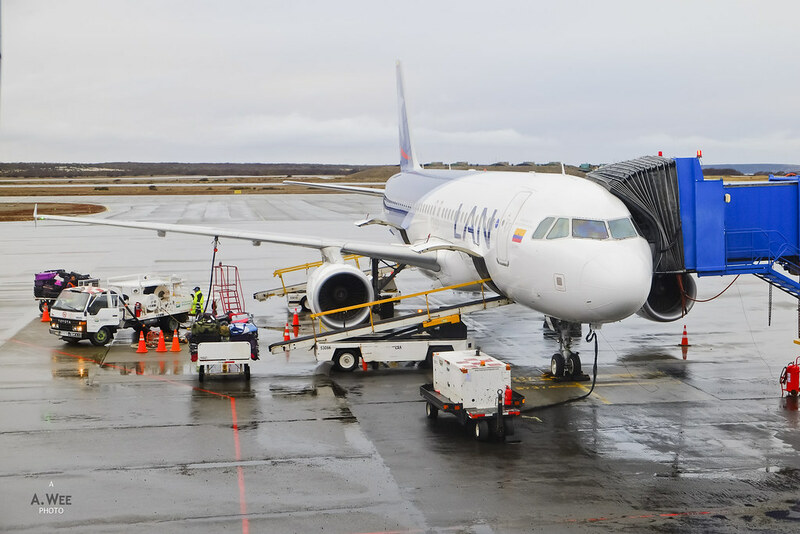 The second segment was shorter than the first and the crew went about to conduct the second service for passengers departing from Punta Arenas. 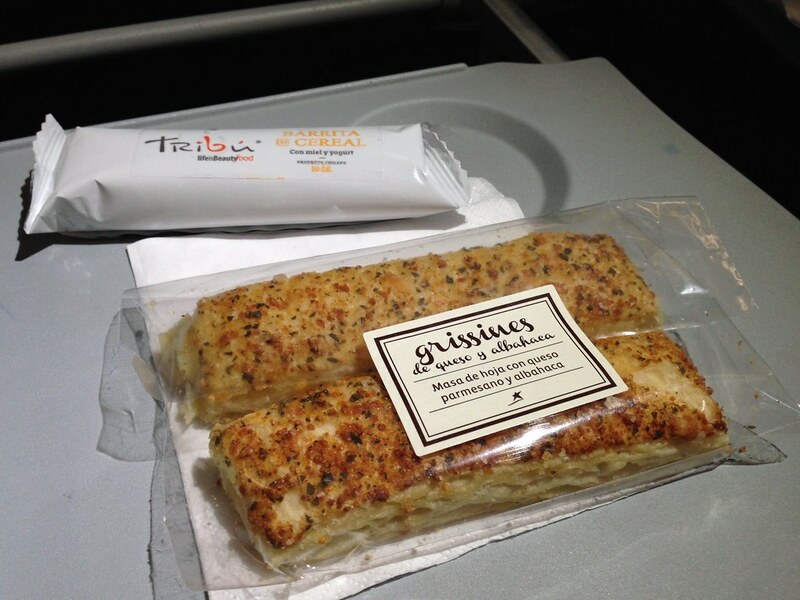 Another round of snacks where passengers were given 2 choices. This time I took the cheese crackers and another yogurt cereal bar. 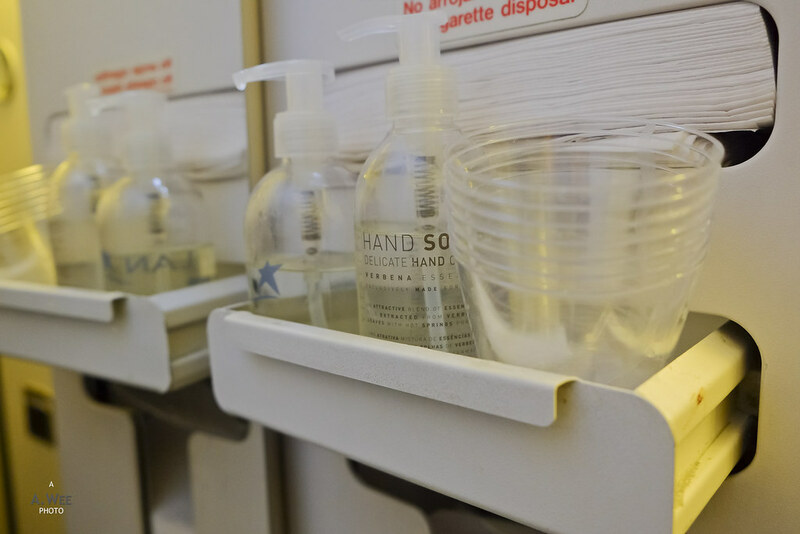 During the first segments of the flight, I head to the lavatory where I discovered a clean space and it was also stocked with amenities like plastic cups and hand soap for passengers. Service during the flight was friendly and fast so that the flight managed to be on-time for arrival. In fact we even arrived earlier than scheduled. With the quick baggage claim and another Uber ride, I was able to head for a nice sleep for the night after my adventure in Patagonia marked a new high for my Chilean vacation. The return flight onboard LAN once again showed a level of professionalism for the airline and really showed good value. 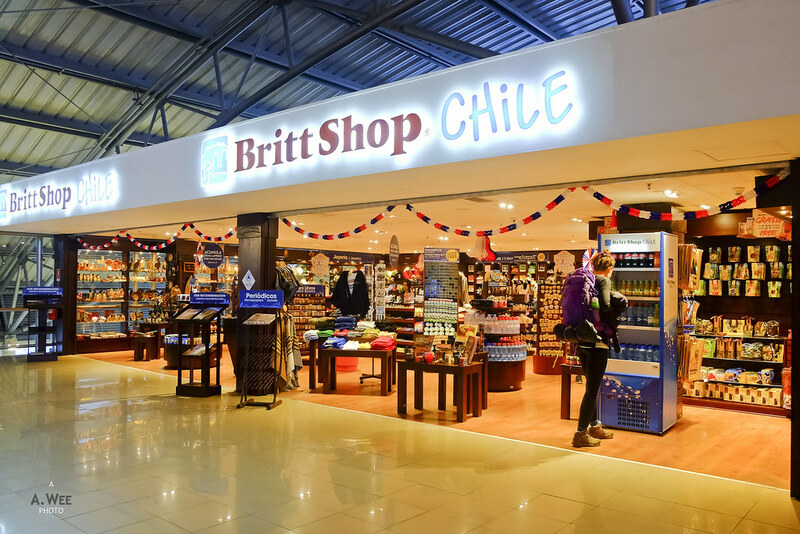 The ability to pick seats, get complimentary checked luggage with free onboard beverages and snacks made me realize why there is not much room for budget airlines in Chile especially with the competitive and good value fares that LAN has. I would even say my experience flying LAN domestically made me confident of flying with them internationally in the future.